Seriously. That's pretty much the film that we have on hand. 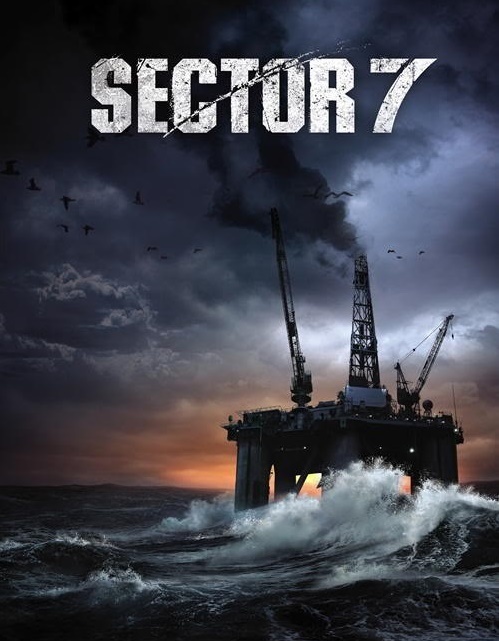 A crew isolated out in the middle of nowhere (aka an oil rig), are attempting to do a job, when they encounter a strange, brutal creature. Unlike 'Alien,' there's very few characters to care about. There's a gaggle of idiots (one pretty much the Jar Jar Binks of comedy relief) that you just know are fodder for the creature. Most of this films feels like it was shot against a green-screen, as we see lots of process-shots, and even some fake motorcycle-riding (yes, motorcycles on an oil rig, they are THAT bored!). This was also a 3D horror film, so we have lots of images of swooping cameras, characters moving in and out of the frame, and stuff coming' right at ya! Personally, give me 'Alien' or 'The Host' any day, and leave 'Sector 7' to sink into the abyss.